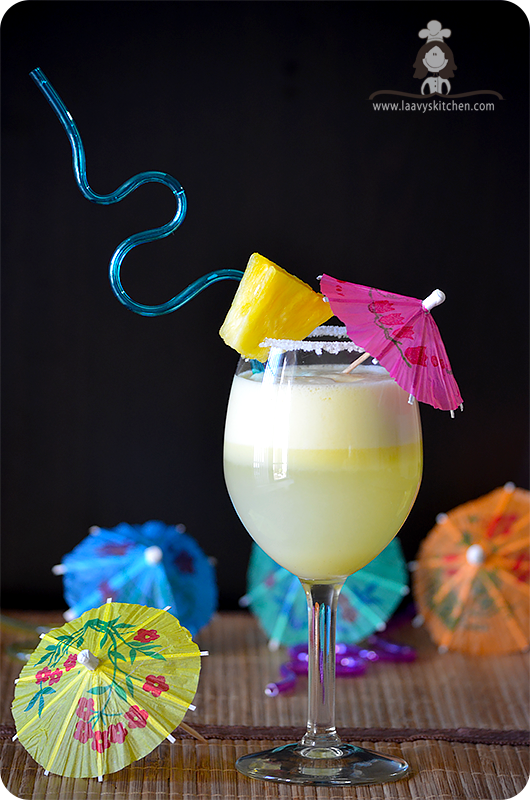 Piña colada is the official drink of Puerto Rico and it is a rum based cocktail of pineapple and coconut.This is the non alcoholic mocktail version of the original drink :). It is rich,creamy and perfect for any occasion.Its healthy and packed with nutrition so you can have it often. 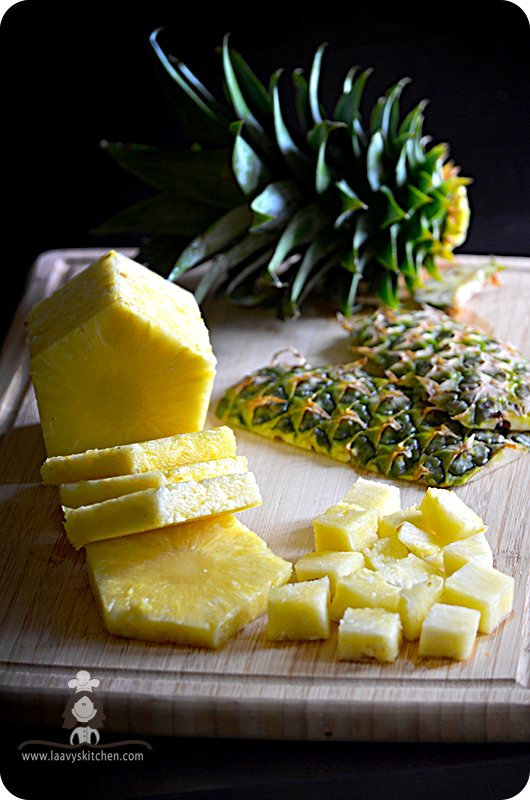 Wash,peel and chop pineapple into small cubes. 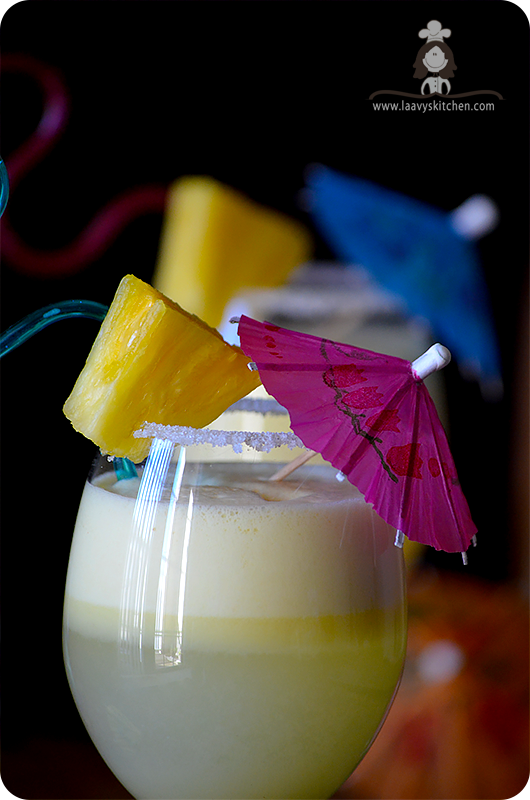 In a blender,add chopped pineapple,coconut milk,ice,and blend until smooth and creamy. If you have unsweetened coconut milk,add the sugar and blend again. Very refreshing drink and awesome clicks. Very well presented; grest job. 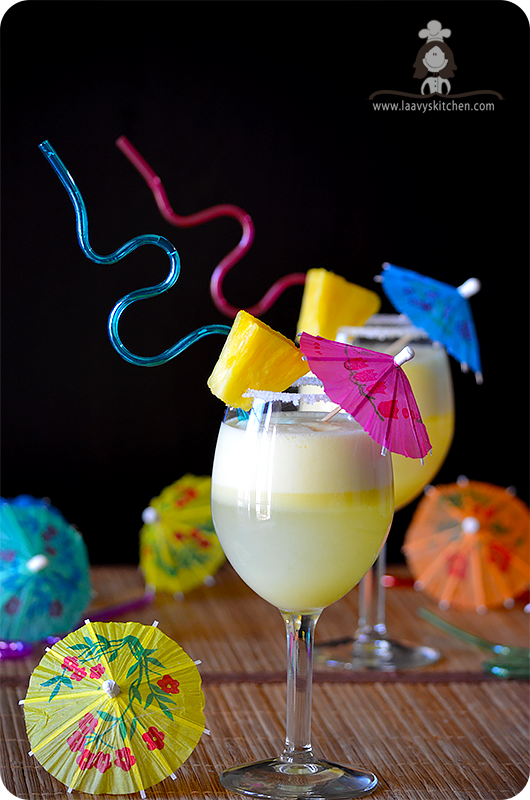 wow what a beautiful presentation for this delicious mocktail, love it!! 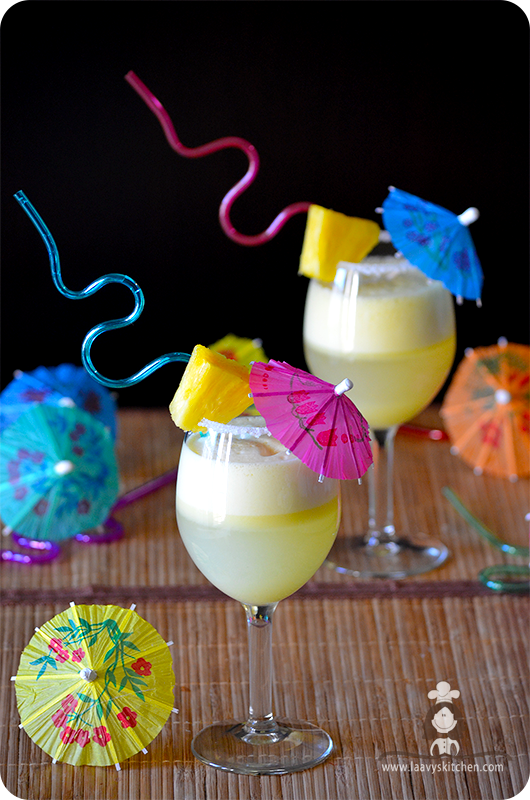 This drink looks awesome! just wondering how many it serves? Thanks you. 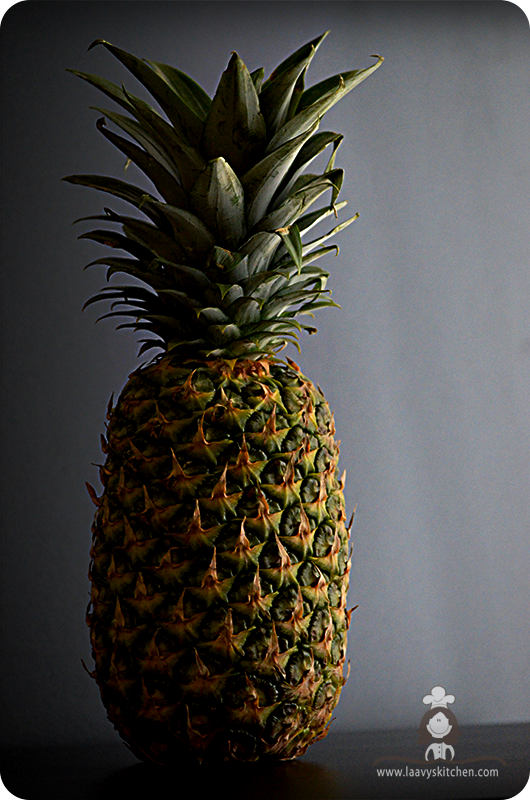 For a pineapple shown above, you can serve 6 - 8 people.